Welcome to the Tech Talk and Tech Tips area. This is going to be growing gradualy over the next few years so keep a watch on this area. While looking into this very important area we have come across a few different types of pump. They fall into the categories of three switch position and two position operated electrical pumps. Your pump should be the automatic type which will operate on its own if it detects water in the bilge. The three position pump allows you to turn it fully off, (not advised) to be left in automatic mode, and manual operation which overrides the automatic feature on a temporary basis. This is obviously the best version to get. However must have a three way toggle switch with the last position as press to keep on as the manual position. The two position version is either off or in automatic mode. This pump will run for a short while, to pump out; when it detects water then turns itself off for a short period of time. It then automatically resumes pumping again, turning itself on and off until the water is removed. This helps with keeping it cool and not burning out. It is important to check your pump every so often if not used for long periods. Never run these pumps without any water for even the shortest period as this can damage them. This a really complex subject seeing that the solution is so simple. There are mainly two types of bow thruster, the electrically powered unit and a hydraulically powered unit. The electrically powered version is the most common as it is cheaper and relatively easy to fit. The other hydraulically powered is much dearer and you require a lot of fitting and special hydraulic pumps and controls. The boat will need a bow thruster tube regardless of which type of thruster you put on unless you go for a hydraulic pod. The pods are susceptible to damage and you need two. These are not ideal for canal work, in my opinion the bow thruster tube is a very nice option. We were lucky as our boat manufacturer Collingwood, had pre-fitted one for us, but not installed the unit. We had to sort out correct tube diameters so we had the correct propeller size and motor. I elected for a Craftsman electric bow thruster, but there are many on the market. The next thing you need to look at is battery sizes. If you look at the thruster specifications you will see the battery load for each type. Mine required a minimum of 120 amp/hour supply. This is the rating that is fed to the motor when in use. You then have to ensure that you have the correct length of control lead and charging leads. I researched on how to charge the bow thruster battery and came up with a brilliant idea called a combiner. This made by Victron; it is a 12v / 24v 120A Victron Cyrix-ct Voltage Sensitive Relay, this allows you to combine the starter motor battery with the thruster battery. So when the starter battery is full it charges the other one. This unit has a nice feature. It allows you to fit a press switch which only makes contact and does not switch on permanently to be installed, which allows you to have a 30 second period of emergency start from the bow thruster battery to the engine starter motor. There are larger units for larger loads. With the hydraulically powered units you require an add on to your engine, which is a hydraulically pump that supplies the thruster unit with hydraulic oil to power the thruster unit. In addition you need the hydraulic control unit, high pressure hydraulic pipes and fittings, plus of course special oil to run it. Fitting this type is very expensive, nearly four times as much as the electrically drive units. Mine cost be about £1900.00 all in and working, including fitting. The electrically powered unit is cheap and easy to maintain and setup, plus locate the controls, . However on average you can only use them in short bursts. They have a working time of say two full minutes in every hour due to the motor getting hot. Hydraulically powered have no time limit for use, however cost a lot to install. The control units can be a bit bulky and the pumps very expensive. To give you an idea of a canal line 42 power pump, it will cost you £500 before looking at the rest of it. I estimates a total cost of around £3500.00 ex fitting. Having had a few enquiries regarding solar panels, like are they worth it? Here is a small discussion about them. They are worth it if you are a live aboard or an occasional boater. The cost is a little high but in general the systems are getting cheaper and smaller, and also better at converting solar energy into electrical power. See our Fitting a solar panel page. Solar panels are certainly of help to you when you winterize your boat, as the batteries are kept topped up for free, without having to have a shore line connected. Living aboard with no shoreline and only diesel or generators to support you, solar panels are a no brainer. Its free energy too. When moving about the system you really need to know where you are going. The old methods of map books are still very usefull however if you tie this together with an online or offline GPS mapping system then things get very easy. I still use my book maps but also have the e-canal maps which are now renamed Water Nav. These can be obtained from RCR website shop. There is also a new Open Source canal mapping system called Open Canal. This is has the ability to have you update the system with fresh info. There is always an up and downside to everything. With the Water Nav system you buy it by areas for £5.99 an area (cost 2017) . You download the whole package off the internet onto a phone (Android) or (iOS). It then runs off the device without an internet connection. The data is large so you need to be prepared to have a large data allowance. With the Open Canal system you need the internet all the time, but this is free. However you never stop downloading data which can be a problem when out in an isolated area. You can download kmz files but these at the moment have some bugs in them. However it is free. There are intereactive maps available but these are not real time and will not show you where you are unless you upload some data to the website. So if you are trying to find exactly where you are then the GPS driven applications described above are the best. The Boat Safety Certificate requires your boat to have roof vents to allow for a through passage of air, so that any dangerous gases can escape. It is important that you do not block these vents up. However if you live aboard or use your boat when it is cooler outside, the warm air will rise and take air out of your roof vents. This of course causes a clash with the hot and cold air, which causes condensation to form in the barrel and mushroom or top surface of the vent. This then drips back down into the boat. This water is distilled water, however will cause problems with seating beds and cupboards etc. if the vent keeps on dripping on them. I had this conundrum, damage to seating and bed, but still able to use the vent without it dripping. After many an experiment i came up with this idea, and it works an absolute treat. I obtained from ASDA a pack of sponge dish clothes. They come in various colours, so you can choose the one to match the boat, and use the others for the intended purpose. We now remove the chrome Vent disc and wire cage from the ceiling and wash and clean them. We used warm soapy water and a brush to clean the wire mesh, and Autosol for the chrome Vent disc. Make sure you store the four screws safely for refitting. Here comer the fun part. We now take the sponge cloth of your choice and place the chrome Vent disk on the cloth. WIth a pen mark around the OUTSIDE of the disc. You are now left with a template. Cut out the cloth with a pair of sharp scissors, cut inside the line on the outer ring by about 2mm so that it will fit inside the Vent disc. You the cut the inner ring on the outside. You will now end up with a donut shape. We can now re-fit the roof vent with the Donut behind the mesh, and in between the roof hole. The result is a nice disguised fitting. I used a bradel to put hole through sponge then fitted alternate screws to bring into line. Ensure the Vent disc is covering the donut. I have tested this system and you do not have to do anything. The sponge collects the condensaion, then the sponge just dries out of its own accord. There will be of course be a time they require cleaning, but being a sponge that is easy. The total cost for this venture was under £6.00 which is cheap to prevent more expensive damage, and also does not stop the roof vent from working as it should and does not breach the Boat Safety Certificate. Please note this is a Canal Narrowboat copyright idea. 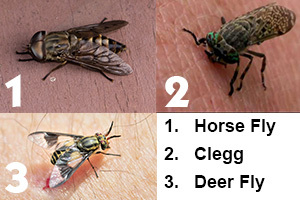 I have hate being molested by bugs when traveling on my narrowboat, especially Horse flies, Dear flies, and Cleggs. They all have a horrible after bite which is very painful due to the fact they inject into your skin an anesthetic, which allows them to feed on your blood. However this reacts after the bug has left with te skin. They also attack from all angles especially Dear flies, which is not nice while you are on trying to concentrate on steering. I have found the near solution. Boots Repel Maximum. It is a 125ml spray costing around £8.99. The stuff is absolutely magic and makes "Bad Blood" and they avoid you like the plague. Go here to Boots page. Boots also do various other versions of this product, such a s roll-on. The product contains 50% DEET so gives effective protection from mosquitoes for up to 5.5 hours (tropical and non-tropical) from one application*. Suitable for destination with a high to medium risk of mosquito borne diseases, such as malaria. It seems a bit of a simple tip this one but it can get you out of a load of trouble. I do belong to the River and Canal Rescue just in case of a major problem, but i always carry spares, such as a Fan Belt and two control morse cables. One for the throttle and the other the gear change. Good job i do as i had BOTH morse cables fail on me this season. They both broke at the control head end, in exactly the same place where the inner wire is cripped onto the adjuster section. So now i must replace those spares. I also carry 20 litres of diesel just in case, as have been to suppliers that have run out, or even closed down.